Not only because the austrian border is so close to Munich, but rather because we simply love Austria in all it`s facets. The food, the people and the lifestyle, but above all the natural beauty and diverse landscapes it has to offer. As widely known, raw and untouched nature is an endangered and rare good nowadys. Therefore around 3% of Austria and it`s biggest natural treasures are protected in form of six nationalparks by the association “Nationalparks Austria”: Hohe Tauern, Gesäuse, Kalkaplen, Thayatal, Donau-Auen and Neuwiedler See-Seewinkel. 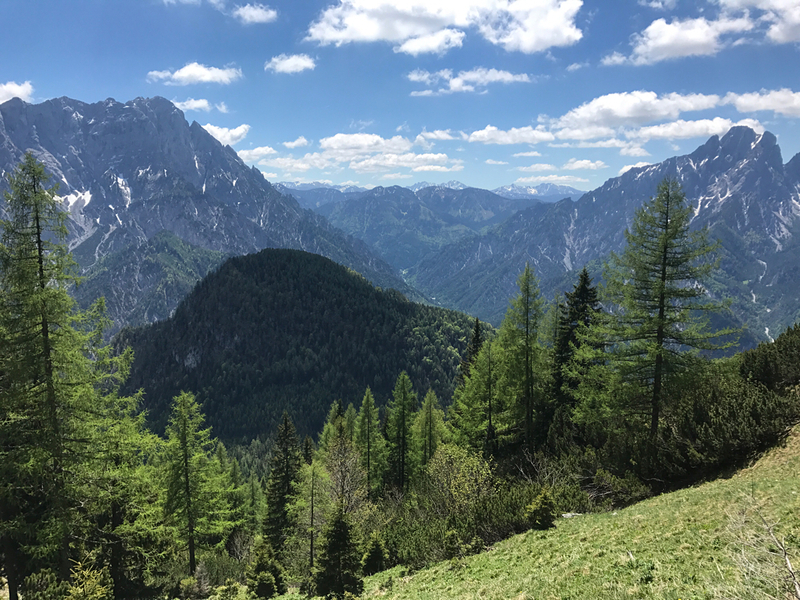 Nationalparks Austria has the objective to protect over 2300 square kilometers of mountains, rivers and forests all over the country as an umbrella organisation and therefore also plays an important role in species protection for both, plants and animals. The NP Austria`s rangers taking care in all the parks! Nature + hiking = happiness! The Jodelhike is on it`s way! Great capture from Heinz Peterherr! Thanks so much, Nationalparks Austria! During the Jodelhike: Soulmates found! At around 2 PM, we met the other hiking groups at Kölblalm, a lovely and cozy little hut where they`re basically cooking food inside the dining room. 🙂 With food, drinks and music and an informative speak about the work and the future of Nationalparks Austria, the event came to an end. Shuttle buses took the people back to Vienna and Graz – and we drove back to our stayover for the night, Gasthof zum Donner in Johnsbach. Gasthof Donner is located right in the Nationalpark and therefore the perfect getaway for any activity here. #wanderlust was a great Get-together of interested parties in nature, hiking and the austrian nationalparks – and a lovely and meaningful event. To protect and save our natural heritage is something really everybody should be interested in. Plants and animals gone extinct will never come back and also destroyed natured won`t come back the same way it was before! Thanks so much for proetcting the beuaty of this country, Nationalparks Austria! Photocredits: Heinz Peterherr Photography – thank you for the great pictures! In friendly cooperation with Nationalparks Austria. More information: www.nationalparksaustria.at – thank you!